Kokum/Birinda/Baddu huli in English, Konkani and Kannada respectively. Kokum is a tangy fruit whose uses go beyond merely culinary – they are also medicinally valuable. It is available in plenty in the western ghats during summer. The tree bears hundreds of fruits and we squeeze out the fruit and dry the skin in the sun till crispy and store it for years in air tight bottles. So when not freshly available, you can always go for the concentrated extract of the fruit that are commercially available . Though not at all popular, this drink is served at many gatherings/functions as a digestive drink at lunch. The squeezed out juice is diluted and and add either a little sugar as per taste and also a pinch of pepper powder and consume it during summer which tastes yummy. Today I would like to put up the recipe of Kokum kadi. 1. If you are starting from a fresh fruit, wash and cut it and remove the seeds. Squeeze out its juice and dry the skin for about 4-5 days in strong sun till it turns crispy. Of course, if you bought the dried skin, you can skip this step. 2. Soak skin in water for about an hour and you get red colored juice. Add some more water and squeeze out the juice completely. In the picture shown below, small pieces of the dry skin is home made, the other skin is bought from the market which is salted for preservation. 3. Place a spatula with 1/4 Teaspoon of cooking oil on low flame. On heating fry soft asafoetida/Hing till crispy. Also fry green chilly in the remaining oil and grind it along with grated coconut in the mixer to a fine consistency. Strain it in the strainer and add it to the extracted juice. Add salt as per taste. Also garnish it with chopped cilantro and sip it after lunch. And then tell me how it tastes ! 1. People use raw Garlic pod in place of Asafoetida – so thats another variation to try. 2. It is a summer drink though skin available can be used through out the year. This entry was posted in Uncategorized and tagged Fruit juices. Apple juice is a great thirst quencher! No matter where you are, what the occasion is or what time it is, apple juice just works ! ( ok, may be those bottled juices in flights). A great source of vitamin A and C, it is often mixed with other juices to create interesting mocktails. This recipe is an instant shake recipe – which means you go the market, buy apples, come home and make this ! 1. Wash and peal apple and chop into bite size pieces after removing the seeds too. 2. Soak Almonds in water for about an hour and peal it . 1. Sweet apple should be used for this juice, else milk may curdle. 2. Sugar is an option depending on how sweet the apples are. I have used powder milk for the purpose. Even normal milk can be used. 3. One can replace Saffron with cardamom. Tomato as you know is a familiar fruit/vegetable which is almost as widely used as the potato and onion. Today I would like to put up tomato juice which though not that popular tastes really yummy. It is a very simple recipe with minimum ingredients. 3. Sugar – As per taste. 1. Wash, chop tomatoes and also wash, peal and grate ginger and keep it aside. 2. Grind chopped tomatoes, grated ginger in the mixer to a fine consistency. When done add required quantity of water and run the mixer for a minute, so that water is mixed properly. 3. Strain it in a proper thin strainer and add required quantity of sugar. Ready to serve Tomato juice is as shown in the image below. Makes 2 glasses. Adding a pinch of pepper powder is an option. 1. After opening the pomegranate by scoring it with a knife and breaking it open, the arils (seed casings) are separated from the peal and internal white pulp membranes. It is also possible to freeze the whole fruit in the freezer, making the red arils easy to separate from the white pulp membranes. One can even wash arils 2-3 times in water to get rid of the small tiny white membrane particles out of it. 2. Just run the arils, grated ginger in the mixer adding a little water to a smooth consistency so that juice is ompletely released. Strain it in a fine strainer. 3. 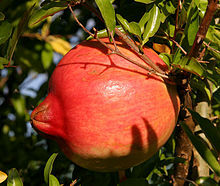 Add honey to it on straining and ready to serve pomegranate juice is as shown in the image below.